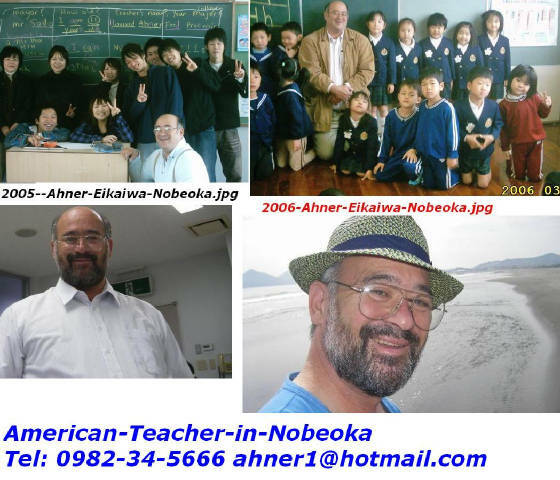 He wants to teach English at Midorigaoka Kouminkan in Nobeoka Castle Town! 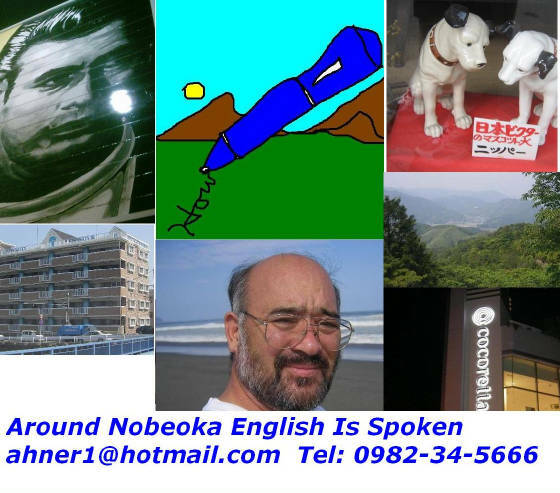 They speak English at Miruku Houikuen in Idekita Village, Nobeoka Shi, Miyazaki Prefecture, Kyushu! They even spoke English to me at a Uniqlo Store in Idekita, Nobeoka! I spoke a little English to a waitress at Kandagawa Restaurant in Midorigaoka, Nobeoka! Most of the staff at UFO Sawabe in downtown Nobeoka are eager to speak English! An owner of a shop on Yamashita Street, Nobeoka couldn't stop speaking English to me! Some have said that even Bokusui spoke a little English in Nobeoka! I often speak English to the waitress and some of the customers at Koyou Restaurant in Nobeoka! 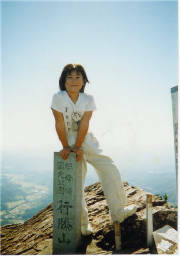 My daughter spoke English on top of Mukabaki Mountain just a way from Nobeoka city. I met some people in front of Hotel A&A Nobeoka and they could speak English! 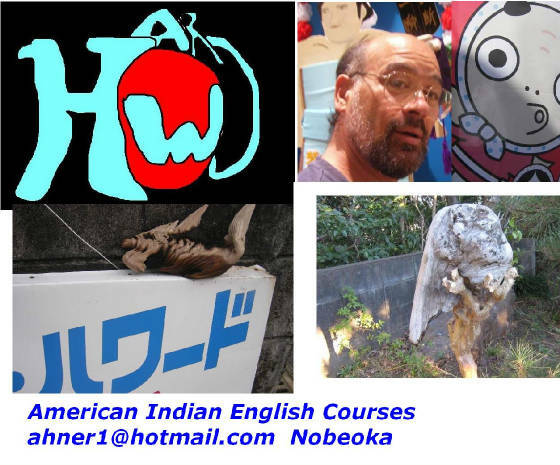 Of course, many times I have spoken English at Bunka Center, Nobeoka! Many times!!! 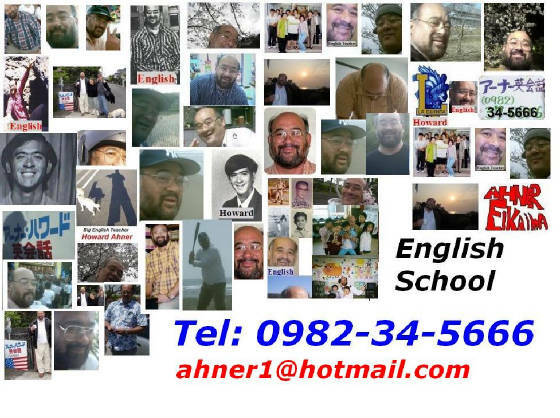 And, I have spoken English while using my keitai, celluler phone, so, so many times! "This was my first apartment building in 1989, April, ugh...when I came to Japan." "These pictures were taken from the top of the Jusco, Nobeoka building." "As you can see, Taku Taku Ramen is closed AGAIN, today. It's always closed on Monday." "I would like to buy this building in Midorigaoka, Nobeoka." "Someday soon, I will teach English at this Midorigaoka Community Center, Kouminkan." "These pictures were taken while driving through Nobeoka City." "Here are some more pictures...while driving through Nobeoka City." "And finally, here are some pictures...towards the Southern part of Nobeoka." They speak English on top of the Jusco Department store in Nobeoka! "Probably, the Lo or UniqLo stands for 'Low' prices." "The Game Center is closed on Saturday, eary mornings." "Probably, Shirius stands for Serious 'pachinko players'?" "My wife and daughter ate there for lunch." "There's a new ramen shop in Nobeoka!" "You can get movie dvds, music cds, and comic books here at GEO, Nobeoka." "The old Chalon Restaurant is now a rotary-sushi shop." "Some people get sensitive when you talk about this hospital in Midorigaoka, Nobeoka." 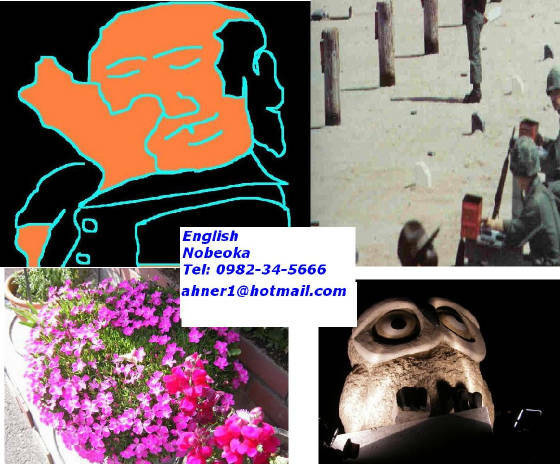 "The old Bunka Center in Nobeoka looks kind of plain." "I think they call this Gion Machi, Nobeoka." "We often meet in front of A&A Hotel, Nobeoka to go drinking." "Koyou Restaurant is my favorite restaurant. I love their Katsukare." "This is Sun Road, Nobeoka on a rainy evening." "A music festival at Urusula Junior College." "You can rent a stage at Kazu Music House." "They say that Bokusui is famous for his poetry." "Jusco, Nobeoka, the last department store in Nobeoka." "Yamashita Douri or Arcade used to be the place to go." "This is just before UFO opened..."
"Saigo Takamori Museum is easy to miss as you drive North out of Nobeoka." "We got married at Gokase Hotel, but now it's a rest home for the elderly." They speak English at a hospital in Idekita Cho, Nobeoka!